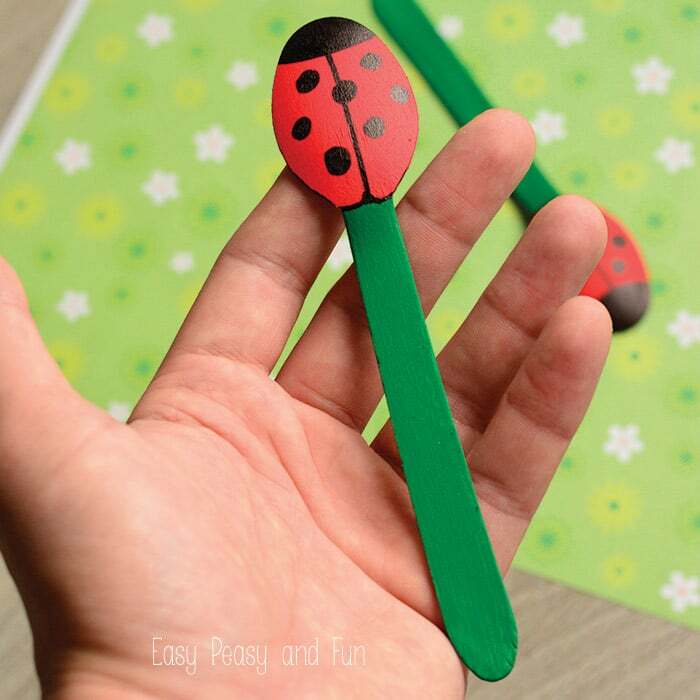 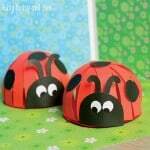 New day, new spoon puppet and this time it’s time to make these super easy wooden spoon ladybug puppets. 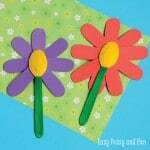 We used disposable wooden spoons to make these (got a pack in the grocery store) but you can as easily make these out of plastic spoons too. 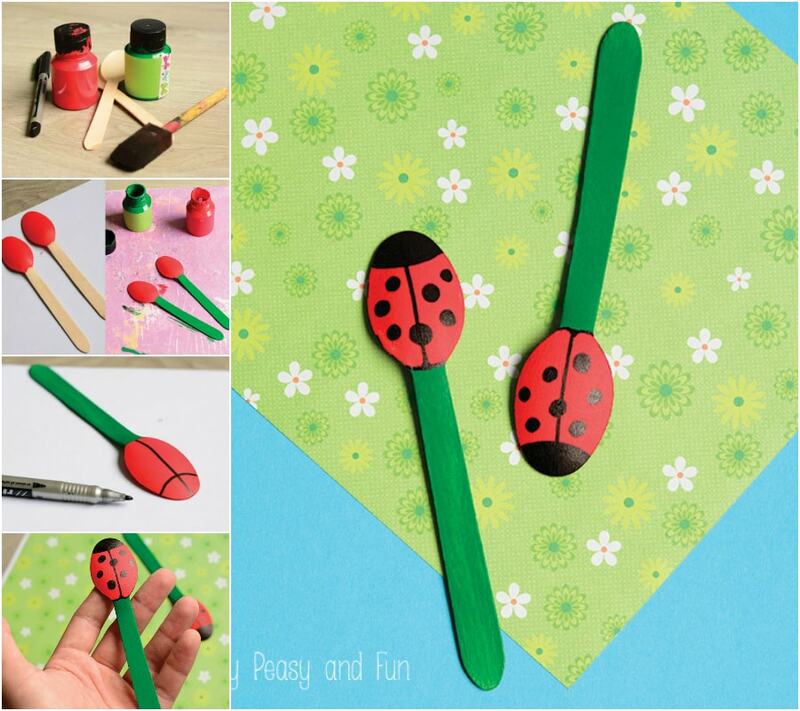 We’ve been on a roll with the ladybug crafts lately (and there are a few more coming out in the next few days) so stay tuned! 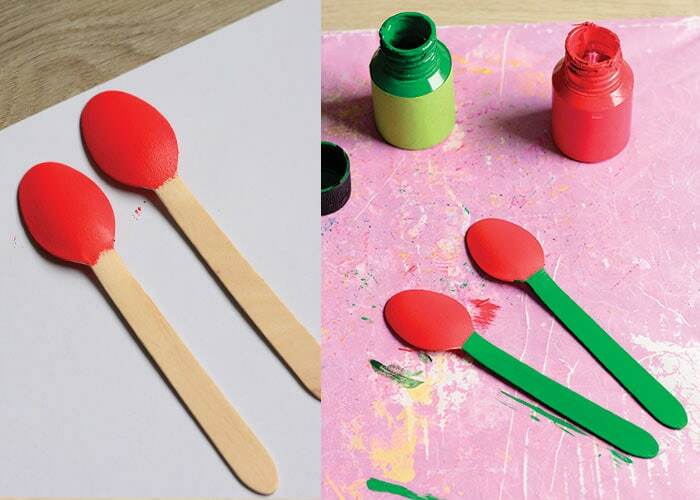 Paint the bowl and back part red and the neck and handle green (yes I did have to google parts of the spoon :). 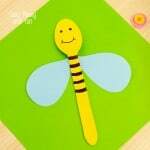 Once dry, draw a line through the middle of the back red part to make the wings and draw a line for the head. 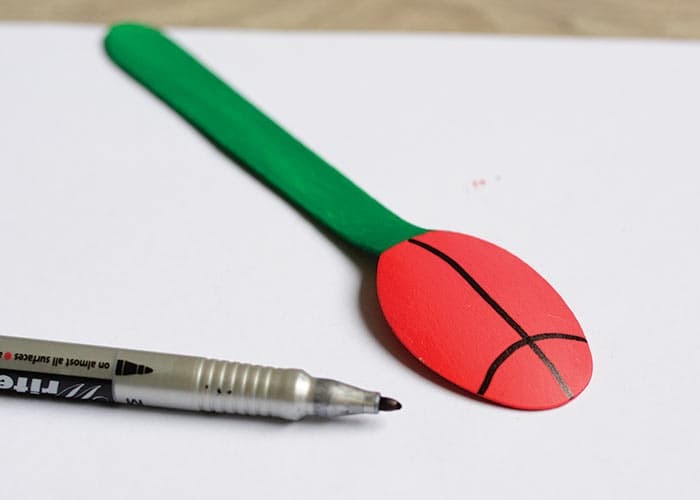 Color the head. 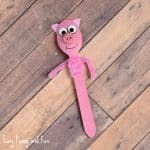 Draw 7 or more spots. 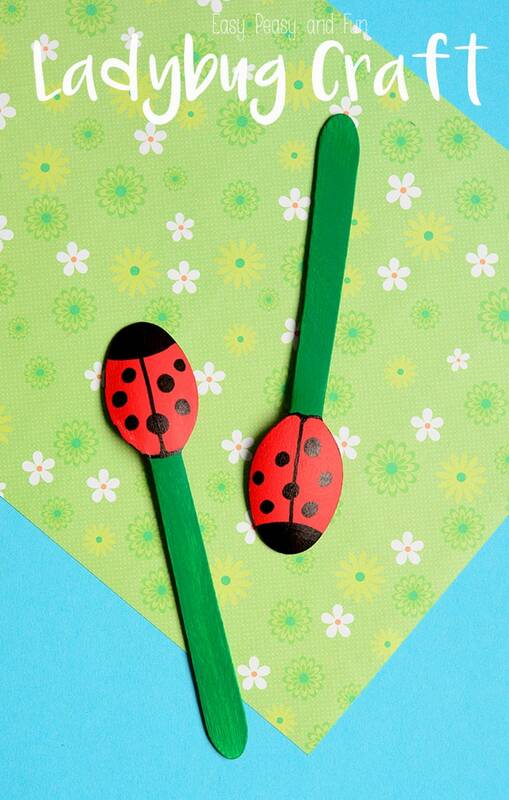 These are fun to play with as puppets but you can also use them as decoration in the garden. 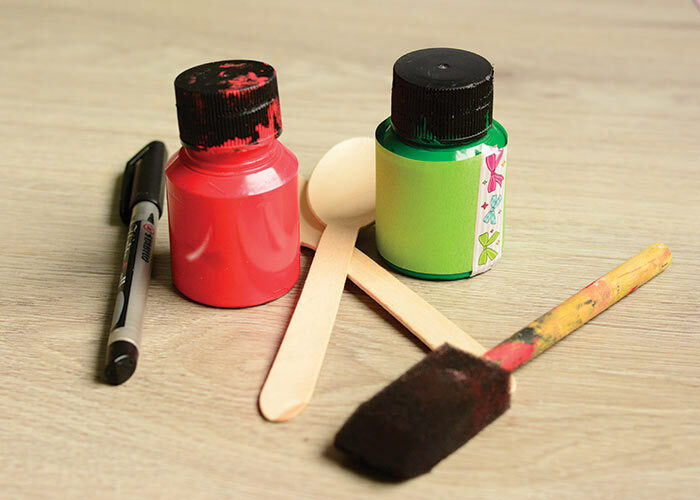 In this case I do recommend sealing the spoons with liquid varnish (glossy one would be cool) to somewhat protect the wood. 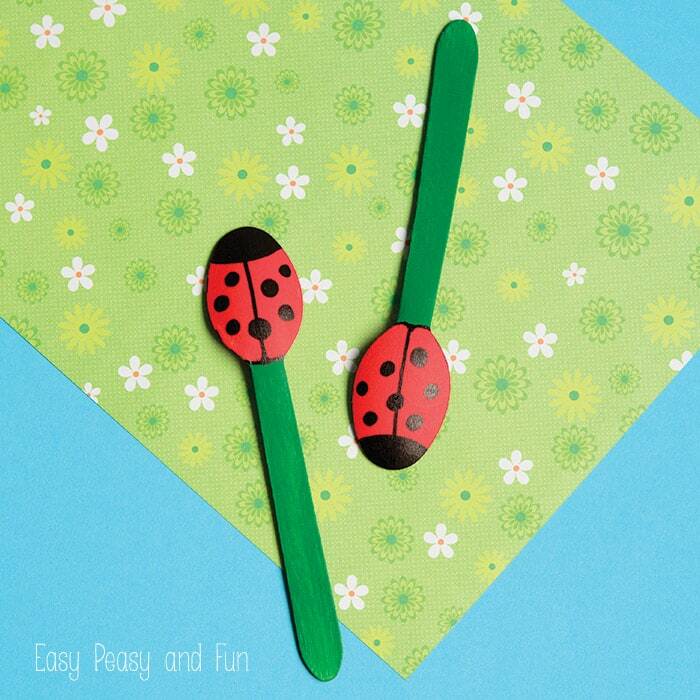 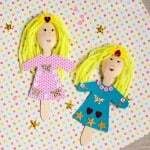 We weren’t just making a bunch of ladybugs we also made a few wooden spoon puppets – like these princess spoon puppets which are perfect for story time or this busy bee spoon puppet, a little bit different than this one but I still think they could be bug friends.